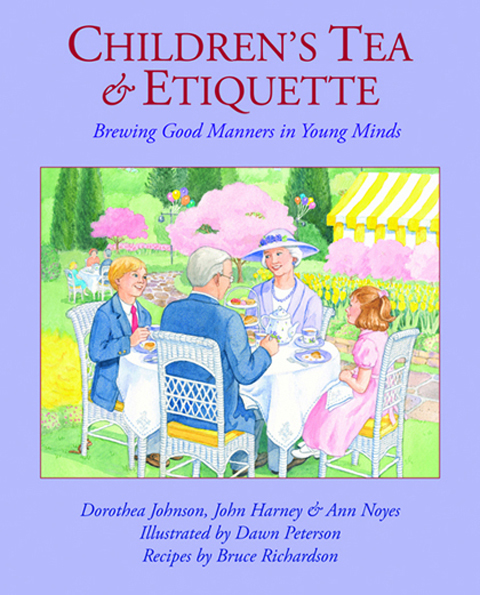 Dorothea Johnson's best-selling book brings children and grandparents together for tea time - and a bit of civility! 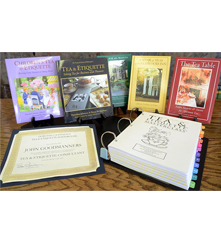 Grandparents, this is the perfect gift for your grandchildren. 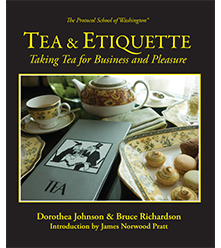 Johnson, founder of The Protocol School of Washington and Tea & Etiquette Certification, has accompanied her famous granddaughter to film sets around the world since the actress was in her mid-teens. Together, they have dined with the most influential people in the world of film. Now the glamorous cover girl-turned-film star is herself a mother of a young son, Milo. The arrival of a great-grandson has inspired Johnson to write "Children's Tea & Etiquette" in which the main characters learn basic manners when they attend a tea party for grandparents and grandchildren. 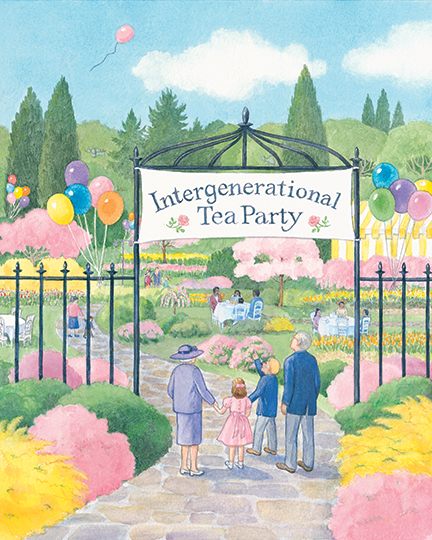 The illustrated children's book features simple lessons in shaking hands, giving introductions, making eye contact, picking up a napkin, brewing and drinking tea, and writing a thank you notes, all the things grandparents can sometimes achieve more easily than parents. 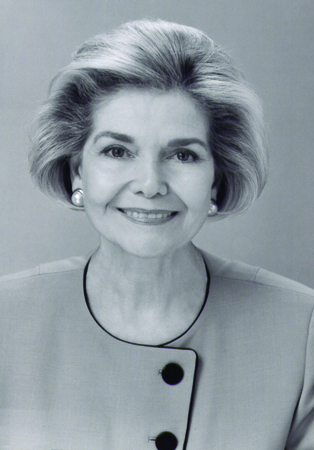 Dorothea Johnson is the Resident Etiquette Expert for the Ellen Degeneres show. 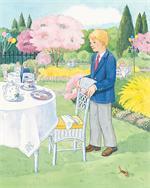 This book is a delight for all 3 generations. 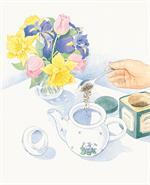 This is a lovely book. 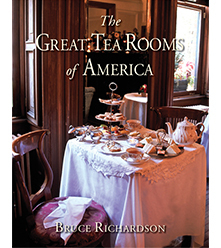 I had seen it in a book store and knew I could get a better price on Amazon. The color illustrations are beautiful and I received it promptly. 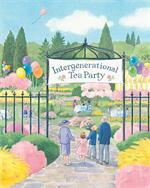 I enjoyed it as much as my daughter and granddaughter did. Perfect for teaching little people. My husband and I gave this book to our granddaughter for her birthday. We read the etiquette parts together, and honestly I learned a number of things I didn't know before, like where to leave your napkin when you're leaving the table briefly versus permanently. Then my granddaughter and I tested almost all of the recipes for her birthday party. This was one of the highlights of my year! Recipe review: they were all really good, but all had lots of butter and the dessert-type had lots of sugar. The lemon bars in particular disappeared almost immediately, but were almost too sweet (apparently not quite too sweet, all were eaten). The oatmeal bars with dried fruit were a big favorite of the adults. Personally, I liked the savory cheese tarts (but I'm crazy about anything with cheese). Good etiquette book for children. 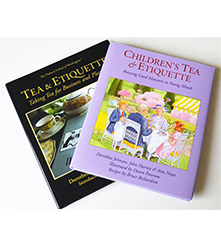 Guide for teaching children table manners.